Cape Town - With thousands expected to descend on Sun City during the prestigious Nedbank Golf Challenge the resort is set to unleash a super charged lineup of entertainment to redefine the experience of being at one of the world’s richest and most anticipated golf tournaments. 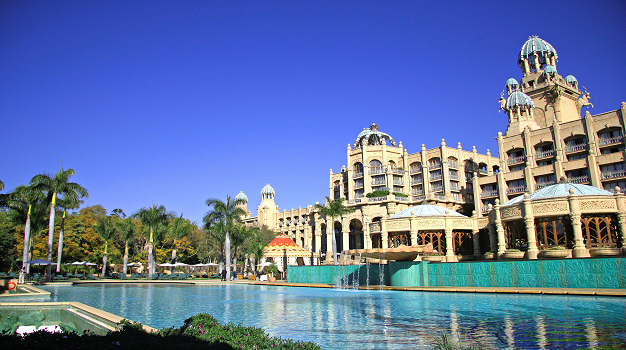 In time for the Nedbank Golf Challenge, Sun City has completed numerous entertainment upgrades. An ambitious refurbishment project is currently underway at the resort to revitalise its iconic appeal and ensure that it retains its rightful place as the premier leisure destinations in the world. Sun City’s four hotels and the entertainment zones have or are in the process of being revamped in a five year, R1 billion upgrade which will be complete in 2017. Visitors to the resort will be in for a few surprises this year. Contact: Visit the website here for all you need to know. Sun City Information: Visit suninternational.com, use #NewSunCity, like us on Facebook SunCitySA or follow us on Twitter SunCityResortSA. With a hive of activity expected during Nedbank Golf Challenge week, Sun City has every base covered, with its vibrant bars, restaurants, Xbox interactive area and entertainment zones geared to deliver the lively South African experience for which the resort is renowned. Amongst the well known artists on the bill for the week are the legendary Johnny Clegg and top house band, Mi Casa. Jacaranda FM’s Barney Simon, Martin Bester, Cassey Clarke an live screening of the rugby will keep the crowds entertained at Castle Lite Extra Cold Entertainment Zone from 10 to 13 November, while well known DJs like DJs Jazzy D, Lorax and Clinton Viljoen will be on the decks at Vibes, Encore and the Shebeen. Sun City’s lounges and restaurants, including Luma Bar & Lounge at Cascades hotel, Legends at the Soho hotel, The Brew Monkey at the Valley of Waves and the Shebeen will also feature live entertainment by local artists including the Divinity Duo, Brendon White, Jessie Presto, Lemon & Limelight, the Jika Jika Duo and many more. “With the reopening of our entertainment centre, Sun Central and rebranded Sun City Hotel, now Soho hotel launching in time for the Nedbank Golf Challenge, we are readier than ever to provide the stage for this internationally acclaimed tournament. The experience for spectators enters the next level in 2016 with non stop entertainment, refreshed facilities and a greater choice,” says Andrew Irumba, Sun City Marketing Manager. Upgrades have been completed at the Cabanas, Sun Vacation Club and Soho hotel, including the revamp of existing restaurants and the opening of new ones. Sun City now offers over 26 eateries. The new entertainment centre, Sun Central, offers a choice of activities for the whole family and will be home to a Hall of Fame honouring the country’s sportspeople and performing artists. The Valley of Waves has been refreshed and now boasts two new thrilling water slides, Ovango and Nobel’s Descent. Waterworld at the Cabanas has also been treated to an upgrade and recently introduced the Kazooma Raceway and Rock Venture Golf. There are also a variety of water sports including jet skiing, parasailing and water skiing, available at Waterworld. In addition, the resort offers a choice of sparkling pools, two aviaries, jogging trails, quad biking, floodlit tennis courts, guided tours of the resort on zippy Segways, one of the world’s longest Zip Slides, and the new outdoor adventure hub, Adrenalin Extreme. Adventurers can go wild, delving into activities like Drift Trikes, Hovercrafts, The Accelerator and quad 4x4 challenge. Children can enjoy the adventure playground, an animal farm and a kiddies’ mini race track at Sun City. Fun-filled, supervised workshops are hosted at Kamp Kwena near the Cabanas twice a day. Activities include visits to the crocodile farm, musical games, arts and crafts, storytelling, adventures at The Maze of the Lost City, Bumper Boats and more.